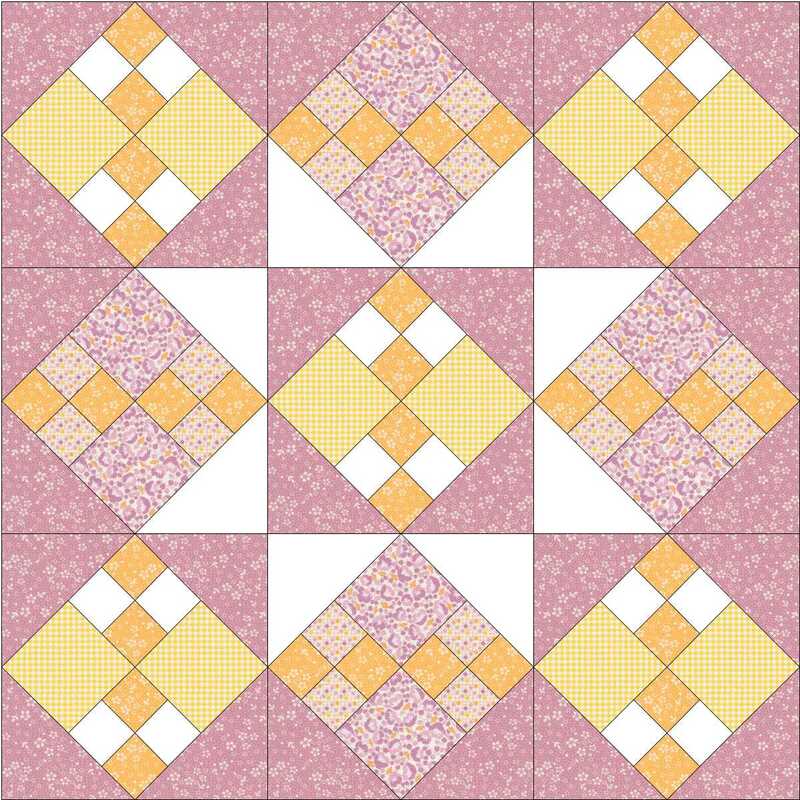 The Improved Four-Patch block is a merger of the Square in a Square and Four-Patch units – essentially a 4-patch ‘on point’. 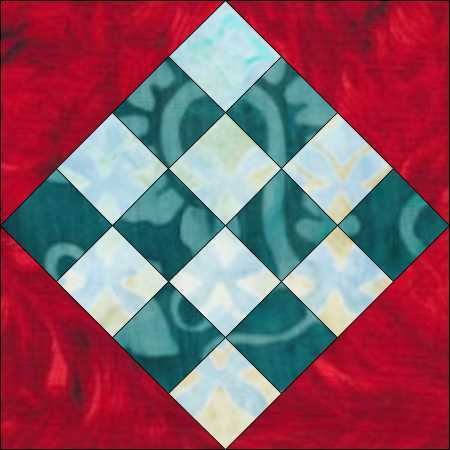 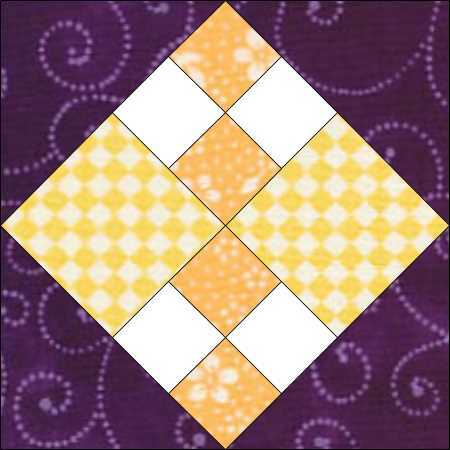 You can download the free pattern for this quilt block here. 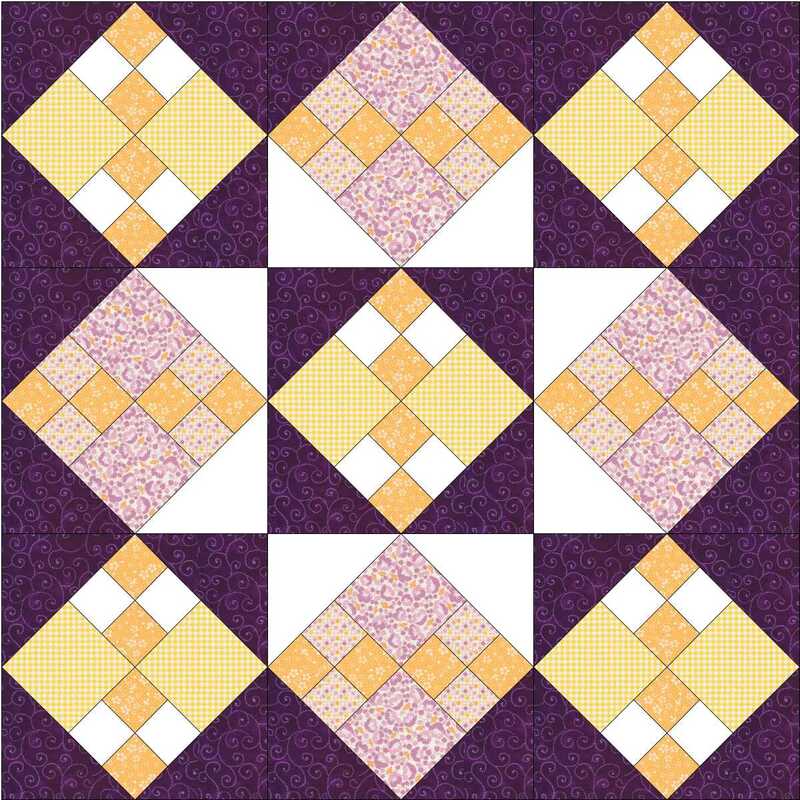 You can have fun playing with the colours and shades in this block, changing the emphasis of lights and darks from one part to another. 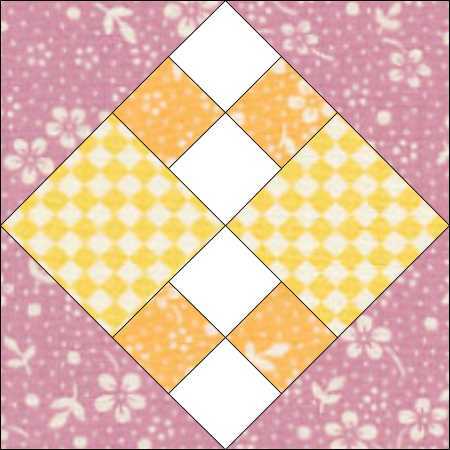 Like the ordinary Square in a Square it isn’t very exciting when straight set on its own, but changing the colours or combining it with other similar blocks can make quite a difference. 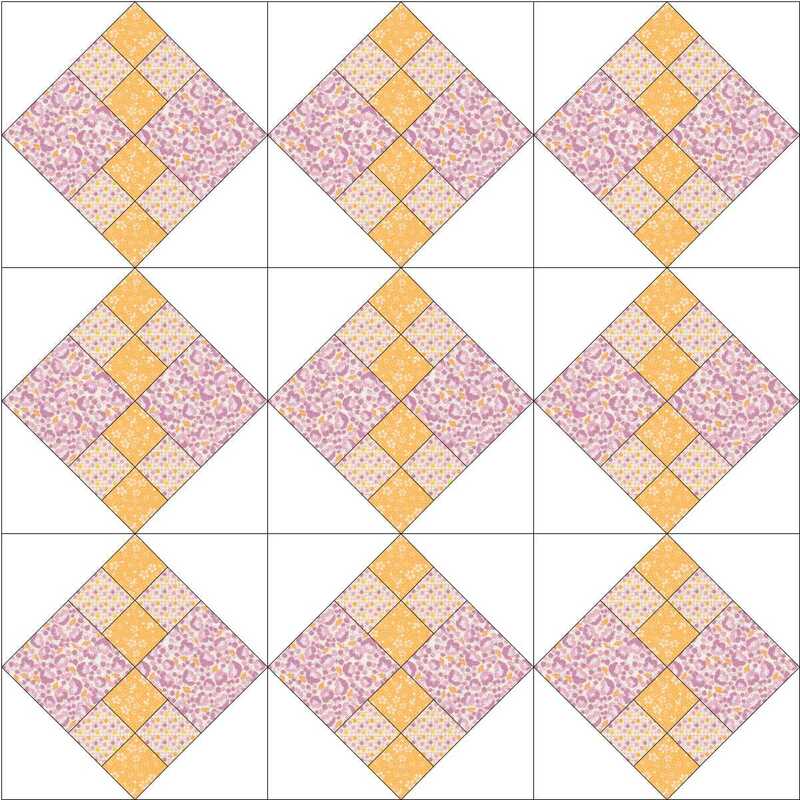 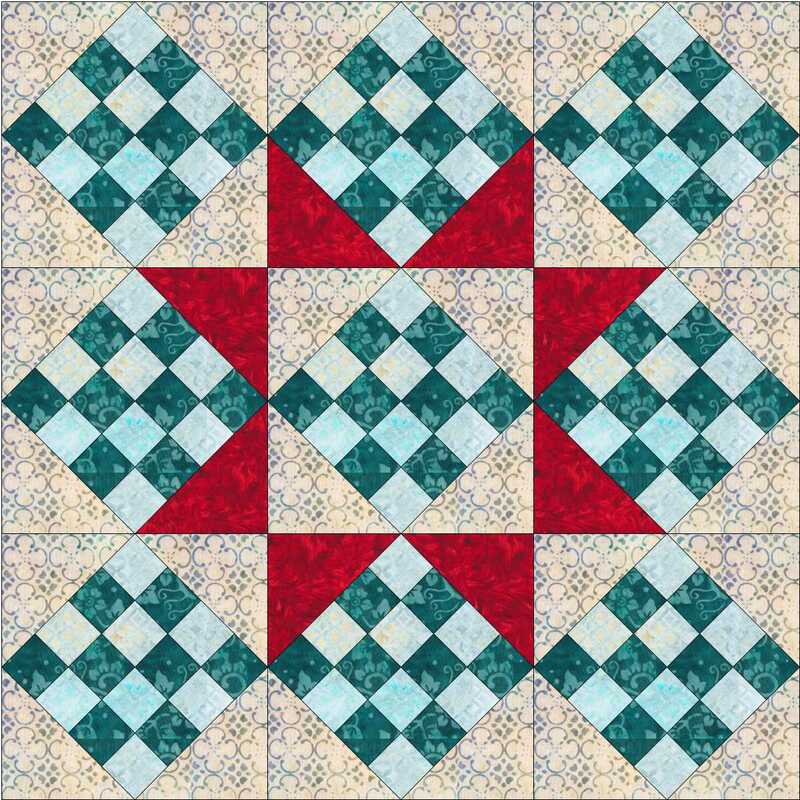 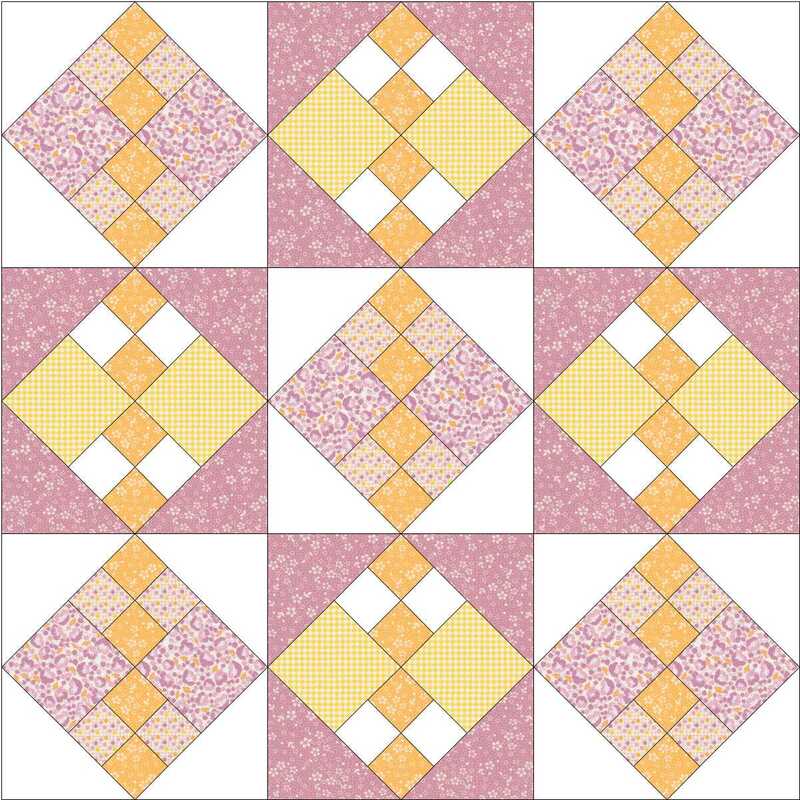 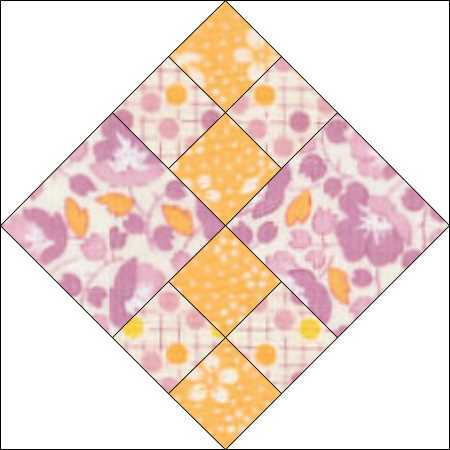 This entry was posted in beginners patchwork, free pattern, patchwork patterns, tutorials and tagged beginners' patchwork, free pattern, simple patchwork on March 2, 2017 by Chris.